I think I’ve finally found the perfect calendar app that matches my preference for calendar UI. It’s this one called ‘Cal’. Cal is the best calendar app in the market. Its a beautiful and easy to use calendar which features a beatiful livetile and connects to your Microsoft, Google and even Facebook account! I personally like how we can have multiple events listed in the Live Tile and the ability to add photos as the background of the tile. 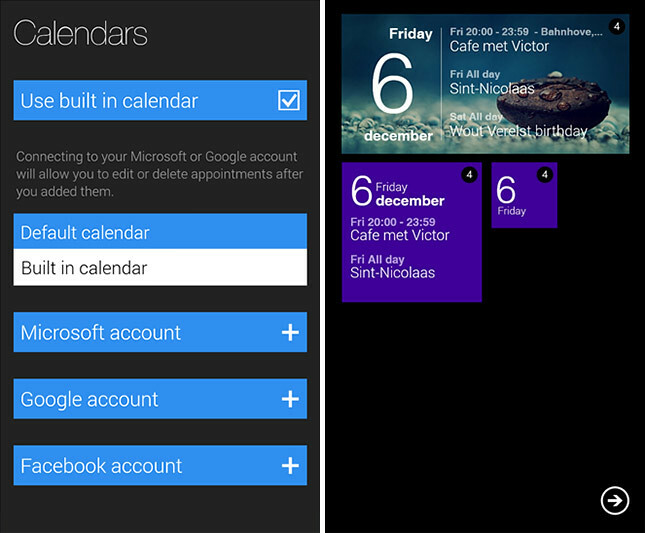 The app connects to all your calendars and eliminates the need to use the default calendar app on the Windows Phone entirely. Woohoo! A new version is coming up which will add landscape week view of the calendar and it looks great. Cal; Windows Phone: $1.99 – TRY/BUY. 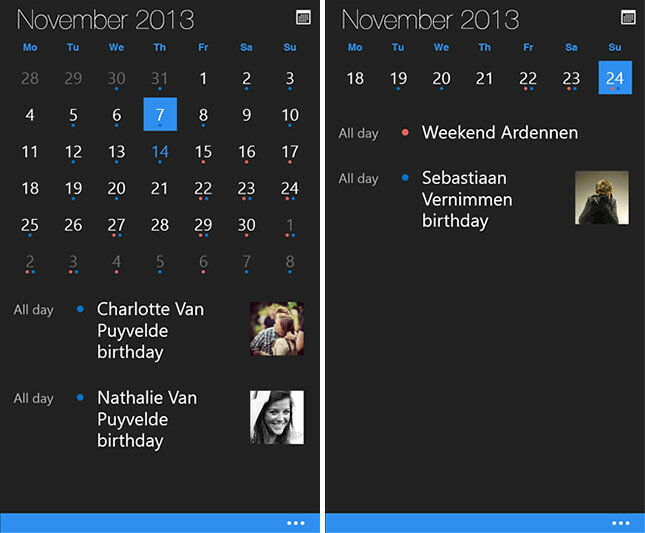 One Response to "Cal, A Minimalist Yet Beautiful Calendar App For Windows Phone Now Available"